Authors: Abubakar, Z. A., Abubakar, U. and Tal, K. M.
The study aimed to evaluate the bacterial contamination of herbal medicinal preparations sourced from identified herbal retail outlets in different parts of Gombe main Market. The assessments of the contamination of the herbal products were carried out using Total Aerobic Bacterial Plate Count, Isolation and Characterization of Selected Bacterial pathogens. The results showed that samples were contaminated with Staphylococcus aureus and Escherichia coli. The Total Aerobic Bacterial Plate Count results showed that the highest average count of > 12.4×10 cfu/ml were samples A to E of the preparations, while least average plate count was samples F to H. Also, Salmonella typhi and Shigella dyseteriae were absent in all the samples. Most traditionally prepared herbal medications in Gombe main market are likely to be contaminated with a wide variety of potentially pathogenic bacteria. The quality assurance of these products should be thoroughly enforced and monitored in the production and distribution of herbal preparations. Kibria, G. M. A., Hossen, S., Barsha, R. A. A., Sharmeen, A., Paul, S. K. & Uddin, S. M. I. (2016). Factors affecting contraceptive use among married women of reproductive age in Bangladesh. Journal of Molecular Studies and Medicine Research, 02(01), 70-79. Kibria, G. M. A., Hossen, S., Barsha, R. A. A., Sharmeen, A., Paul, S. K. & Uddin, S. M. I. ''Factors affecting contraceptive use among married women of reproductive age in Bangladesh''. Journal of Molecular Studies and Medicine Research, 02.01. (2016), 70-79. Kibria, G. M. A., Hossen, S., Barsha, R. A. A., Sharmeen, A., Paul, S. K. & Uddin, S. M. I. ''Factors affecting contraceptive use among married women of reproductive age in Bangladesh''. Journal of Molecular Studies and Medicine Research, 02, no. 01. (2016), 70-79. This study was conducted to detect the prevalence of OXA-181 gene producing Escherichia coli and Klebsiella spp. in a tertiary care hospital of Bangladesh. Total 166 Escherichia coli and Klebsiella spp. were isolated from urine, wound swab, pus, blood and sputum samples in Dhaka Medical College Hospital. Antibiotic susceptibility test was performed by disk-diffusion technique. Carbapenemase producers were detected phenotypically by Modified Hodge test. Carbapenemase genes (blaNDM-1, blaVIM, blaIMP, blaKPC, blaOXA-48/blaOXA-181) among imipenem resistant strains among the isolated Escherichia coli and Klebsiella spp. were detected by PCR. Sequencing was done to differentiate blaOXA-181 from blaOXA-48. Thirty-seven (22.29%) imipenem resistant isolates were detected during disk-diffusion technique, among them 43.24% carbapenemase producers were detected by MHT and 62.16% by PCR. NDM-1 (43.24%) was the dominant genotype followed by KPC (21.62%) and OXA-181 (18.92%). The results of this study showed presence of high proportion of carbapenemase enzyme producing Escherichia coli and Klebsiella spp. in Bangladesh. BlaOXA-181 gene is emerging in Bangladesh. Satter, S. et al. “OXA-181- an emerging threat in Bangladesh.” Journal of Molecular Studies and Medicine Research 03(01) (2018): 128-134. Satter, S., Mahbub, H. and Shamsuzzaman, S. M. (2018). OXA-181- an emerging threat in Bangladesh. Journal of Molecular Studies and Medicine Research, 03(01), 128-134. Satter, S., Mahbub, H. and Shamsuzzaman, S. M. “OXA-181- an emerging threat in Bangladesh.” Journal of Molecular Studies and Medicine Research 03(01) (2018): 128-134. Satter, S., Mahbub, H. and Shamsuzzaman, S. M. 2018. OXA-181- an emerging threat in Bangladesh. 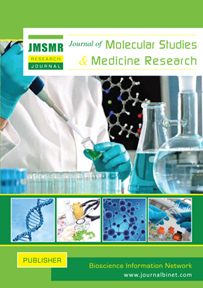 Journal of Molecular Studies and Medicine Research, 03(01), pp. 128-134. Satter, S., Mahbub, H. Shamsuzzaman, SM. OXA-181- an emerging threat in Bangladesh. Journal of Molecular Studies and Medicine Research. 2018 October 03(01):128-134. Aflatoxins cause health burden in feed chain particularly in tropical areas of the world, causing great health hazards to animals and in advance, to human. Currently, there is no universal measure to detoxify aflatoxins in contaminated feeds to render them safe. The study aimed to evaluate potential of crude clays and ashes as test binding materials (TBM) in binding aflatoxins in solution, towards reducing their toxicity to animals ingesting aflatoxin contaminated feeds. Using in-vitro technique, clays designated AC, KC, CC and MC and ashes VA and RA were evaluated for their capacity to bind aflatoxins B1 (AFB1), B2 (AFB2), G1 (AFG1) and G2 (AFG2) relative to a commercial binder MycobinderR (Evonik) as a reference. On average, CC, VA, KC, MC, AC, RA and MycobindR were able to bind 39.9%, 51.3%, 61.5%, 62.0%, 72.6%, 84.7%and 98.1% of the total aflatoxins in buffered solution, respectively. The capacity of AC and RA was statistically (p<0.05) equal and potentially high in binding aflatoxins next to the MycobindR. The capacity trend of the TBM and MycobindR to bind aflatoxins, largely seemed to follow the trend of their cation exchange capacity (CEC). The CEC (meq/100g) varied as 7.0, 15.4, 18.8, 25.4, 27.2, 27.2 and 38.9 for CC, MC, KC, VA, AC, RA and MycobindR, respectively. The Average proportions of AFB1, AFB2, AFG1 and AFG2 adsorbed to the TBMs were 96.3%, 42.7%, 80.8% and 32.1%, respectively. The binding capacity of the TBM relative to MycobindR was about 100% for AC and RA, 50% for KC, MC and VA and 33.3% for CC. The AC and RA seem to be promising resources in binding aflatoxins and can be utilized in alleviating aflatoxin contamination of feeds. Ayo et al. “An in-vitro evaluation of the capacity of crude clay and ash based materials to bind aflatoxins in solution.” Journal of Molecular Studies and Medicine Research 03(01) (2018): 135-147. Ayo E. M., Matemu, A., Laswai, G. H. and Kimanya, M. E. “An in-vitro evaluation of the capacity of crude clay and ash based materials to bind aflatoxins in solution.” Journal of Molecular Studies and Medicine Research 03(01) (2018): 135-147. Ayo E. M., Matemu, A., Laswai, G. H. and Kimanya, M. E. 2018. An in-vitro evaluation of the capacity of crude clay and ash based materials to bind aflatoxins in solution. Journal of Molecular Studies and Medicine Research, 03(01), pp. 135-147. Ayo EM., Matemu, A., Laswai, GH. and Kimanya, ME. An in-vitro evaluation of the capacity of crude clay and ash based materials to bind aflatoxins in solution. Journal of Molecular Studies and Medicine Research. 2018 October 03(01):135-147. Banana is of special need to human society and are ranked as fourth most important food in the word after rice, maize. In Kenya, production of banana is constrained by among others declining soil fertility due to repeatedly application of fertilizers. Sustainable complementary response to declining soil fertility would be to increase the biological inputs of nutrients by exploitation of microorganisms. Endophytes which are mutualistic symbionts living asymptomatically within plant tissues have been reported to have beneficial effects on plant growth, therefore the effect of three endophytic Bacterial isolate (Bacillus subtilis and Serratia nematodhiphila), Fungal isolate (Trichoderma asperrellum), originating from Kenya were evaluated by inoculating on Grand Naine and William Hybrid banana cultivars under greenhouse condition at weaning stage and after two months for fifteen weeks. Plant responses to endophyte treatment was assessed on plant height, girth, number of functional leaves, fresh and dry roots weight. Improved growth of all parameters was observed for plants inoculated with endophytes when compared to the control. The study shows that the endophytes tested as growth promoters were found to have a significant effect in both cultivar plantlets. All treatments showed promising growth promoting properties. Isolate TR (Trichoderma asperellum) induced the largest increases in plant height 129.2cm (Graid Naine) 114.0cm ( William Hybrid) ) at 15th week , however all the treatment did not differ significantly in other growth parameter (Pseudo stem diameter, and total number of leaves ) at P= 0.05. The study shows that endophytes have potential to enhance growth of tissue-cultured banana plants. Murunde et al. “Potential use of endophytic bacterial and fungi as bio fertilizer to promote plant growth in tissue culture banana.” Journal of Molecular Studies and Medicine Research 03(02) (2018): 148-160. Murunde, R. Muriithi, I. and Wainwright, H. (2018). Potential use of endophytic bacterial and fungi as bio fertilizer to promote plant growth in tissue culture banana. Journal of Molecular Studies and Medicine Research, 03(02), 148-160. Murunde, R. Muriithi, I. and Wainwright, H. “Potential use of endophytic bacterial and fungi as bio fertilizer to promote plant growth in tissue culture banana.” Journal of Molecular Studies and Medicine Research 03(02) (2018): 148-160. Murunde, R. Muriithi, I. and Wainwright, H. 2018. Potential use of endophytic bacterial and fungi as bio fertilizer to promote plant growth in tissue culture banana. Journal of Molecular Studies and Medicine Research, 03(02), pp. 148-160. Murunde, R, Muriithi, I and Wainwright, H. Potential use of endophytic bacterial and fungi as bio fertilizer to promote plant growth in tissue culture banana. Journal of Molecular Studies and Medicine Research. 2018 December 03(02):148-160. Authors: Niger, T. Ohtani, K. and Ahamed, B. F.
In this study, methanol extracts of the leaves of nineteen Japanese plant species for which there have been no previous reports regarding in vitro α-glucosidase activities, were tested for their potential α-glucosidase inhibitory activities. Five plants, Quercus phillyraeoides, Mallotus japonicus, Sapium sebiferum, Elaeocarpus sylvestris var. ellipticus, and Myrica rubra showed high inhibitory activity against α-glucosidase with IC50 values in the range of 22 – 92 μg/ml. The methanol extracts of these five plants at 1 mg/ml showed significant inhibitory activity against rat intestinal sucrase. The hexane, ethyl acetate, butanol, and water extracts from the five plants were also screened for yeast α-glucosidase and rat intestinal sucrase inhibitory activity. The extracts of Q. phillyraeoides leaves (ethyl acetate and butanol extracts), M. japonicas leaves (ethyl acetate and butanol extracts), and E. sylvestris var. ellipticus leaves (ethyl acetate and butanol extracts) showed excellent inhibitory effects against yeast α-glucosidase. Methanol, ethyl acetate, and butanol extracts of the five plants also exhibited potent inhibitory effects against rat intestinal sucrase. Due to their inhibitory effect, the leaves of these five plant species were selected for further investigation to isolate and identify the active constituent(s) responsible for the potential antidiabetic activity. Niger et al. “Inhibitory effects of Japanese plant leaf extracts on α-glucosidase activity.” Journal of Molecular Studies and Medicine Research 03(02) (2018): 161-168. Niger, T. Ohtani, K. and Ahamed, B. F. (2018). Inhibitory effects of Japanese plant leaf extracts on α-glucosidase activity. Journal of Molecular Studies and Medicine Research, 03(02), 161-168. Niger, T. Ohtani, K. and Ahamed, B. F. “Inhibitory effects of Japanese plant leaf extracts on α-glucosidase activity.” Journal of Molecular Studies and Medicine Research 03(02) (2018): 161-168. Niger, T. Ohtani, K. and Ahamed, B. F. 2018. Inhibitory effects of Japanese plant leaf extracts on α-glucosidase activity. Journal of Molecular Studies and Medicine Research, 03(02), pp. 161-168. Niger, T, Ohtani, K and Ahamed, BF. Inhibitory effects of Japanese plant leaf extracts on α-glucosidase activity. Journal of Molecular Studies and Medicine Research. 2018 December 03(02):161-168.